Royal Air Force Charitable Trust Enterprises - News: Friday 'Pit Access' is back! Home » The Airshow » Visiting the Show » Latest News » News: Friday 'Pit Access' is back! Friday 'Pit Access' is back! 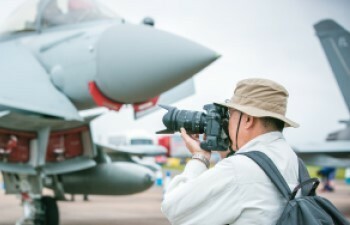 When you visit the Air Tattoo on Friday 19 July you'll have access to our exclusive 'pit area' where flying display aircraft are parked before and after the flying display, subject to operational requirements. As in 2016 this area is to the East end of the airfield, South of the runway. The pit area will be closed Saturday and Sunday so our Friday preview day is your only opportunity for a more intimate view of some of the aircraft that are in the flying display. It's also quieter and more relaxed as tickets are limited and the perfect excuse for a Friday trip to the Air Tattoo, not that you should need one! Find out more HERE. If you book by 31 January you'll also receive a £10 merchandise voucher to spend on the day. It's on us!